Inspired ways for families to embrace and celebrate the spirit of the season — and beyond. It happens every holiday: You’re so caught up in shopping, traveling, cooking and planning that you forget to focus on the stuff that really counts. From honoring family traditions and treasuring togetherness to practicing compassion and counting your blessings, the real magic far exceeds the chaos that has come to saturate the season. This year, why not put gratitude on your to-do list? You’ll feel better, your kids will be happier, and it’ll bring you closer together than any toy or trinket. Gratitude is a unique character strength in that you can actually teach it to your kids — rather than, say, crossing your fingers and hoping they’ll figure it out. It’s a quality that transcends religion, philosophy, culture and ceremony. It has been scientifically proven to boost happiness. It doesn’t always come naturally, though. Kids can be self-centered — and with the rampant consumerism at every turn of the holiday season, it can be hard for them to look beyond the shiny storefronts and their own wish lists. But by teaching, modeling, reinforcing and nurturing gratitude, you’re giving your kids a gift that will last well beyond the holidays — and hopefully a lifetime. Try these tips to really drive the messages home. Have a discussion with your kids about what gratitude is and what it means to feel grateful. Find natural ways to weave it into your family life, whether it’s pausing before a meal or ending each day with a moment of reflection. Encourage your kids to think about what they’re grateful for every single day, whether it’s the sun in the sky, the fluffy family dog, or participating in the school play. Television shows and movies— especially those with relatable characters and easy-to-follow storylines — make a big impact on kids. Use the time together to teach kids the value of being aware of and thankful for the good things in their lives — and the rewards of taking the time to return kindness. Co-viewing and co-playing have proven benefits for kids, beyond just being fun and a bonding experience. Kids of all ages can reap the benefits of being read aloud to, and watching TV or movies as a family offers an opportunity to cuddle and share the experience of seeing and hearing the same thing. And, of course, playing video games as a family promotes teamwork, problem-solving and perseverance — all attributes that make for a well-rounded kid. Take advantage of these times to share your values. Say what you’re grateful for — out loud. You can make it a family ritual or privately capture thoughts in a gratitude journal. Daily, weekly, monthly — any amount of time spent acknowledging all the good stuff in life is a super-beneficial habit. Serving others instills in kids a sense of pride and appreciation for their blessings. That can be done financially, through volunteer work or social activism and outreach. Check out this list of charitable apps and sites and this list of online resources that help kids do good. Sending cards through snail mail can really make someone’s day, but sending online thank-you cards or an email is also a valuable way of voicing appreciation. Reflecting on the hardships that people endure can really put things in perspective. Read the acknowledgements section in a book and discuss whom the author thanked and why. Need ideas? Try books about the Holocaust, memoirs, stories about social justice and grief and books that simply inspire kids to be grateful. Flipping through scrapbooks (hard-copy or online) or scrolling through social media memories is a fun way to look back at good times with friends and family. A birthday cake by candlelight, pics of last year’s snowstorm, two friends arm in arm … these memories are precious, and sometimes are just the spark of recollection can brighten a dark day. Even in the midst of scary news, endless wonderful things are going on every second around the world. Counterbalance some of the sad stuff. Sites like Good News Network and Today’s Good News vertical are good ones to check out. This article was written by Common Sense Media from Huffington Post and was legally licensed through the NewsCred publisher network. Please direct all licensing questions to legal@newscred.com. Daze. Do you ever find yourself in a daze during December days? I call in the Holi…daze. I have found myself, dazing out the window…worrying. At times, I have found myself paralyzed. Dependent on how you celebrate December and what you choose to put on your ‘to do list’, chaos may be created. I am challenging myself and all of you to choose to create calm. My 2017 mantra is “Create Calm”. I strive for this daily and don’t always succeed-but, I will continue to try and try again, like the “Little Engine that Could” because it finally did, right? 1 . Lists Santa isn’t the only one who needs a list this time of year. If you don’t celebrate Christmas, it’s all good (said in the Pete the Cat-like voice). This is a time of year for fellowship, spending time with family and friends. Every night, I re-write my list of what I WILL do (include breaks, workouts, what you will eat, etc…every detail). In moments of chaotic craziness, this will act as your guide book when the “December Daze” decks you. Keep it Real. Will you really be able to accomplish all you have listed? Forgive and Forget. Forgive yourself or having the move a few things to the next day or 2 on your list and the hard part, FORGET ABOUT IT. Have fun. Focus on Friends & Family. Phones forgotten. The holidays equal fun. The definition of holidays is not to be in your ‘holidaze’. We’ve all witnessed or felt “dashing. dashing”-not through the snow, but through December. By creating calm, let us tattoo the traditions and thoughtfulness from the top of our head to our toes. Traveling through and really practicing playfulness, peace, and presence. This article was written by Rachana V.S. Garg from Working Mother and was legally licensed through the NewsCred publisher network. Please direct all licensing questions to legal@newscred.com. Help your kids get a sense of life in other countries by introducing them to a variety of holiday rituals celebrated around the globe during this time of year. Here are a few examples to get your crew exploring different cultures—maybe you’ll even create a new family tradition! Ethiopia: Here, many families celebrate Christmas on January 7—though most people actually refer to the holiday as either Genna or Ganna, after a hockey-like game that is traditionally played on that afternoon. The Netherlands: Children set out pairs of shoes on the eve of St. Nicholas Day, December 6. In the middle of the night, St. Nick pays a visit, filling the shoes with small treats such as chocolates, candies, and toys. Italy: Kids write letters to their parents promising good behavior (and apologizing for recent misdeeds), as well as telling them how much they love them. The letters are then placed under Dad’s plate on Christmas Eve; he reads them all aloud once the meal is through. Mexico: December 28, Day of the Holy Innocents, is celebrated much in the same way as April Fool’s Day. Children—and adults—play innocent pranks. If successful, the trickster gives his victim a candy treat. Sweden: St. Lucia Day, December 13, is the beginning of the holiday season; one girl in each home dresses as Lucia, patron saint of light, in a white gown and a crown of leaves—and then wakes everyone by bringing a tray of breakfast treats. Korea: Families celebrate January 1 by making Duk Gook—also spelled Ddeokguk—or rice-cake soup. According to tradition, enjoying a bowlful on New Year’s Day allows everyone to advance a year in age. Use these talking points—provided by the experts at patheos.com, a site dedicated to world religions—to help your kids understand the meaning behind certain traditions. Why do people light candles each night of Hanukkah? Why does Kwanzaa last for seven days? Why do people exchange Christmas gifts? What’s your favorite thing we did together as a family this year? Who are your best friends? What do you like about them? How is school this year? Which subject do you enjoy most and why? What’s the nicest thing a friend or someone in the family has done for you this year? volunteering one afternoon a month at a food bank. For locations, visit feedingamerica.org. sponsoring an underprivileged child abroad. Check out savethechildren.org to make an ongoing impact on someone’s future. asking a local nursing home’s volunteer coordinator about activities your family can help out with regularly, like craft sessions or reading hour. Give your family a chance to think during the holiday rush: During December, share a half-minute of silence each night at dinner. Tell the kids to focus on whatever they like—something good that happened that they’re grateful for, positive thoughts for a sick friend, a wish for the coming year. These moments together each day will help you feel more calm, connected, and appreciative of what you have the rest of the year too. A unique tradition teaches kids that they’re part of something special—your family—and binds this holiday to future ones. This article was written by Jane Nussbaum from Parents and was legally licensed through the NewsCred publisher network. Please direct all licensing questions to legal@newscred.com. Teachers form the backbone of our educational system. They teach us everything we need to know in and beyond the classroom, and with endless enthusiasm, patience, and compassion along the way. As the year winds down, it’s only proper to show them some love and appreciation. Teaching any age group — kids, teens, adults — is a difficult job that most of us can only attempt to understand. So, as you say goodbye before winter break, make sure to give your teacher the thanks they deserve. They have more than enough mugs in their cabinet by now that you probably shouldn’t default to giving them one, no matter how witty the slogan on it is. 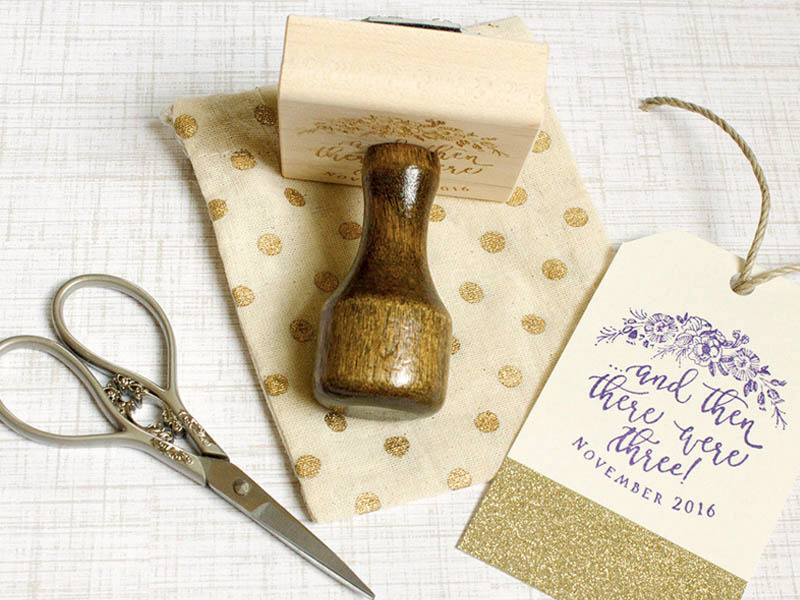 Instead, give them one of these 25 thoughtful and useful gifts. If you’re not already one of their favorite students, you surely will be after they receive something from this list. 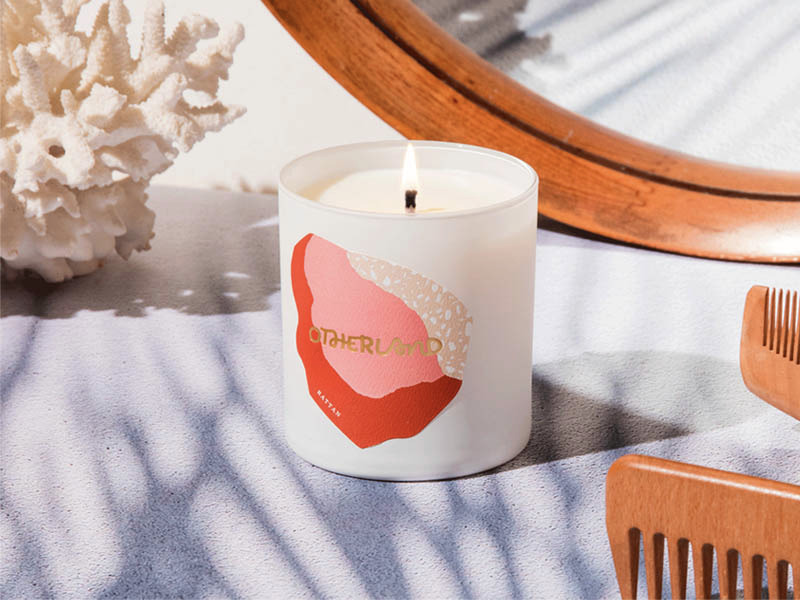 These sophisticated coconut and soy wax candles come in scents ranging from refreshing Canopy (fig, ivy greens, mint) to rich Chandelier (champagne, saffron, leather). The beautiful look, delightful scents, and personalized matchbox make this candle gifting experience special. 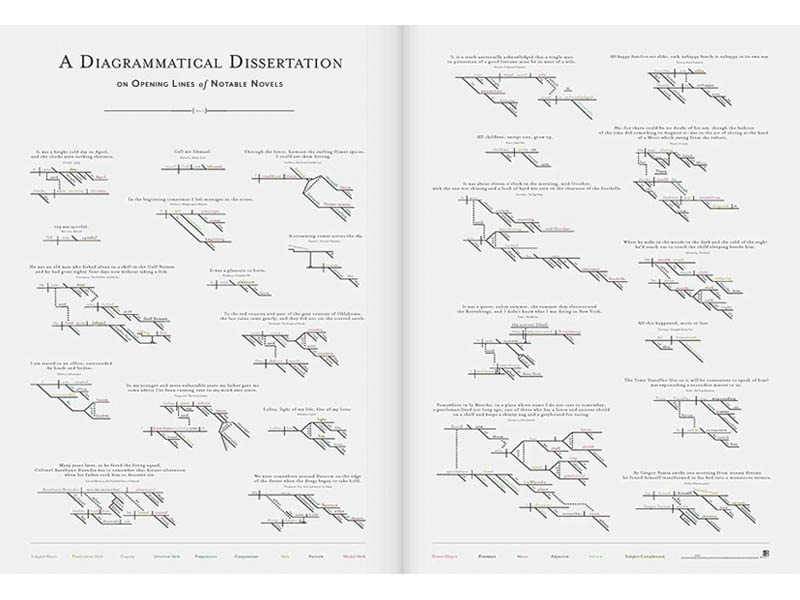 English and grammar teachers will appreciate this chart diagramming the opening lines from 25 famous works of fiction. After admiring the partitioned, color-coded picto-grammatical representations, they’ll want to read the books all over again. Don’t just give them the tea infuser. 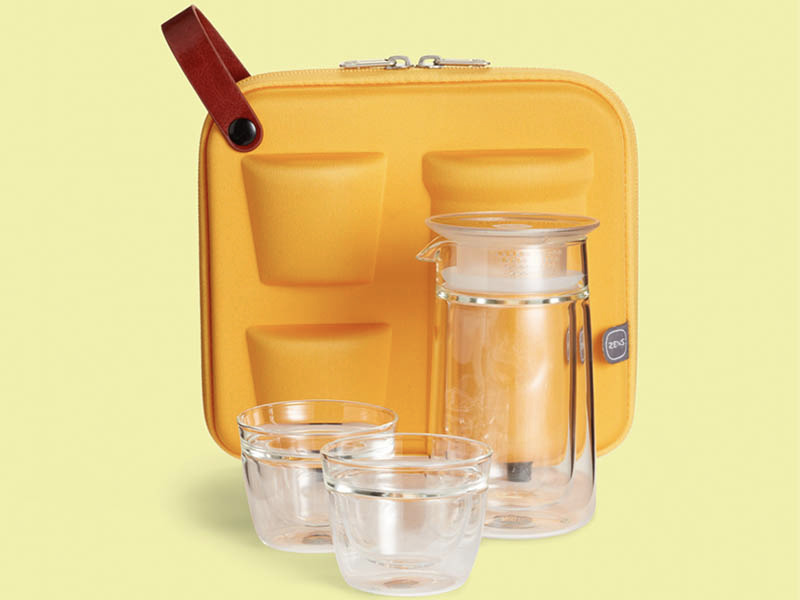 Give them the cups and a handy carrying case, too, so they can enjoy a hot cup at work or at home. The glass teapot has an integrated infuser plus two indentations for easy holding, and the tea cups are double-walled and resistant to high temperatures. All the pieces fit snugly in the eye-catching hardshell case so they can take their favorite tea from home to school and beyond. 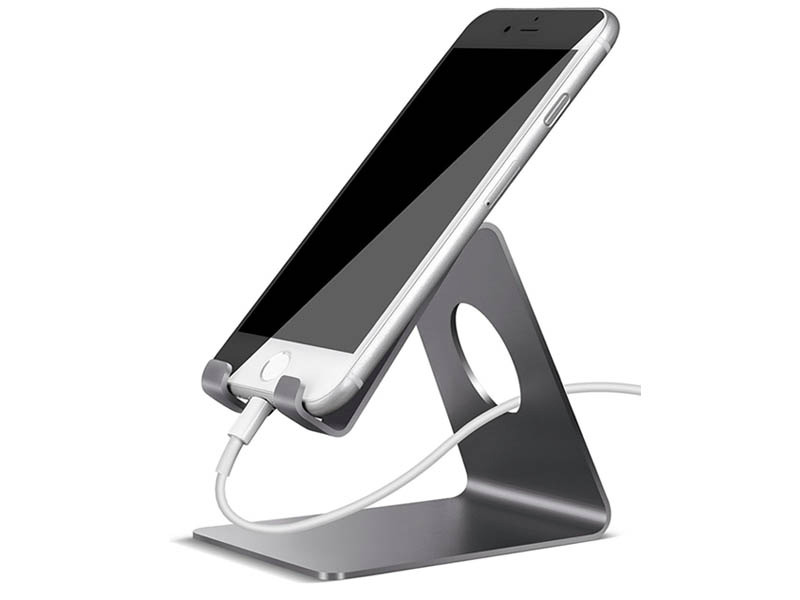 The simple, sleek, and durable stand is the perfect way to keep their device upright at just the right angle as they work. While it’s a no-frills gift, it’s undoubtedly practical and useful. 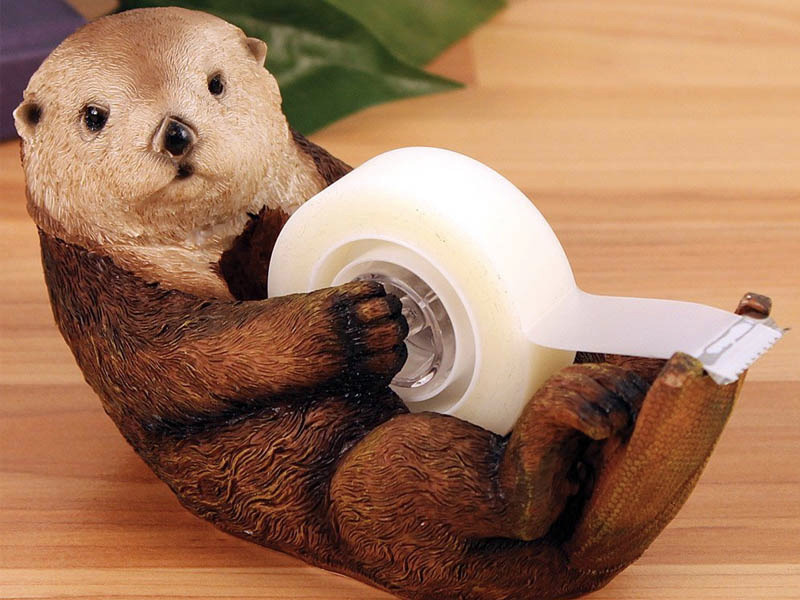 A cute twist to the traditional, ugly tape dispenser will instantly liven up their desk. Teachers are just as happy as their students to start summer vacation. 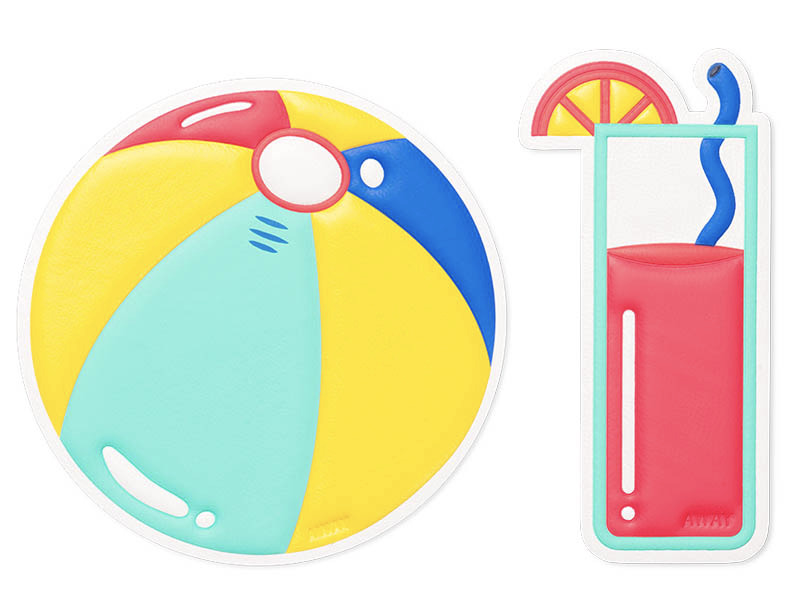 These carefree, colorful stickers for their luggage set the mood for the sunny summer ahead. 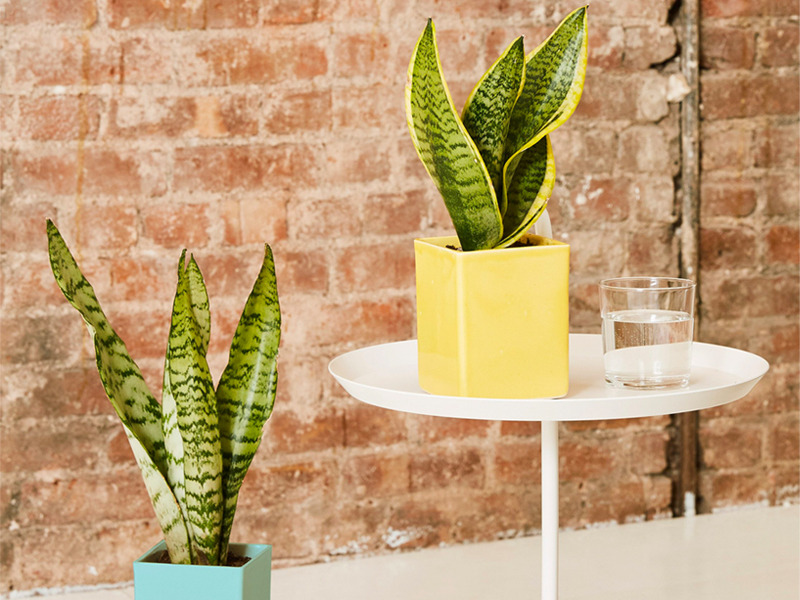 Instead of gifting a flower bouquet, try an indoor plant. 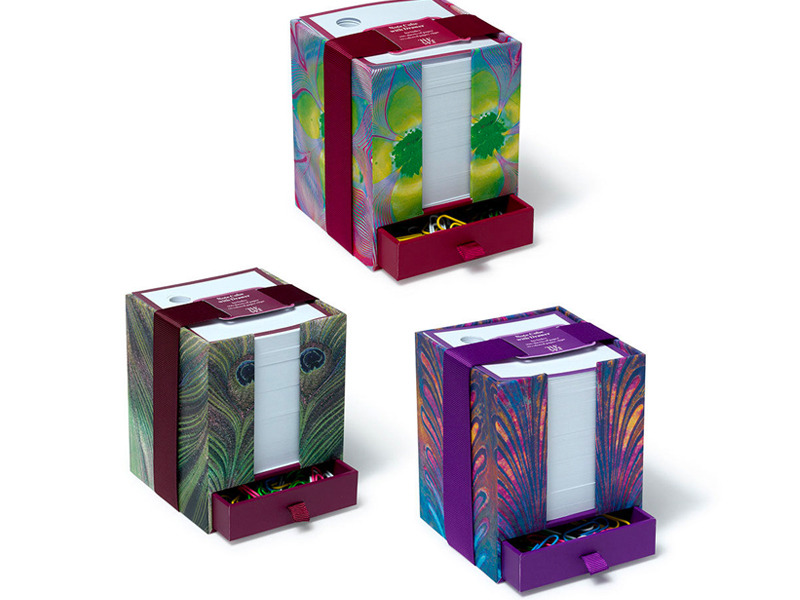 It lasts longer and requires less maintenance, but livens up their desk just as well. 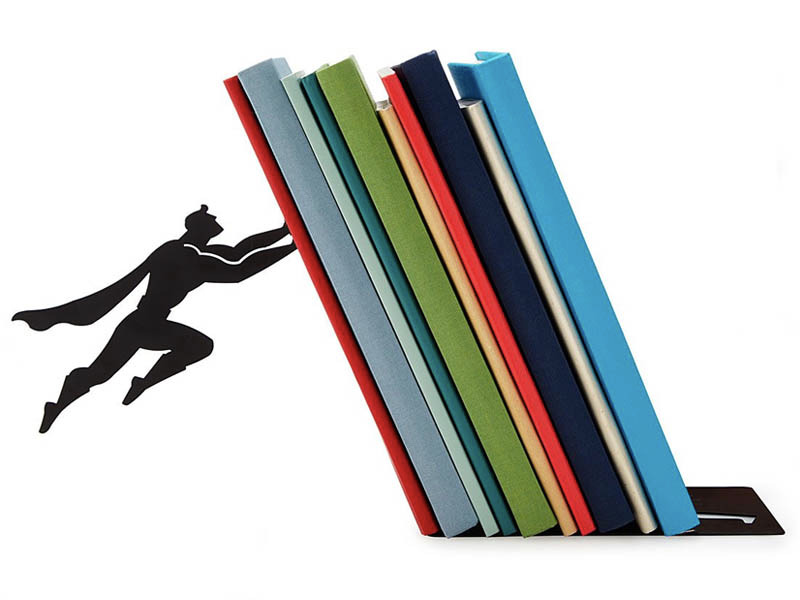 Whether they’re used in the classroom or for your teacher’s personal collection, or for lesson planbooks or comic books, these bookends make for a quirky gift. 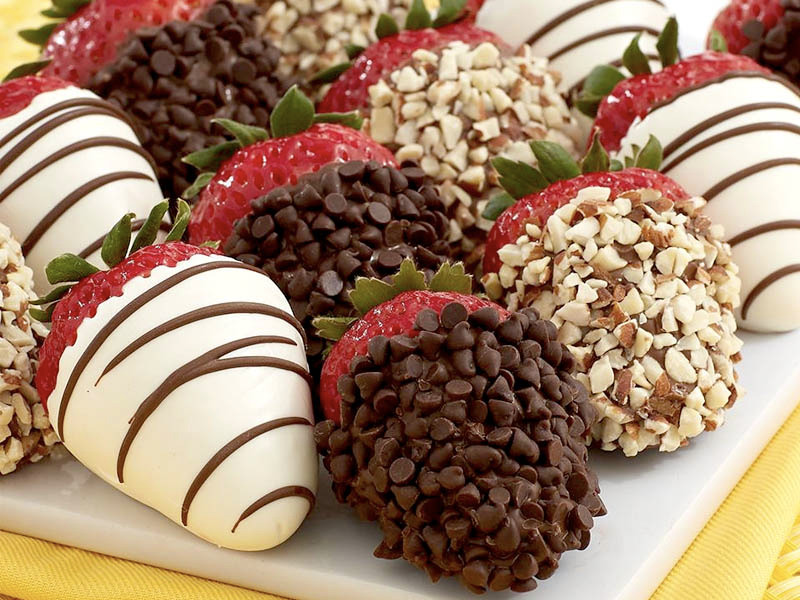 The top spot in our book for the best chocolate berries goes to Shari’s Berries, whose hand-dipped white, milk, and dark chocolate strawberries have our mouths watering just thinking about them. They’ll arrive chilled with an ice pack so you don’t need to worry about a mess arriving at your teacher’s door. Gift the stamp they’ll always reach for first as they check and grade homework. You can get creative by submitting a picture of your teacher’s face or their favorite catchphrase. There are three different mount choices and many more size options. 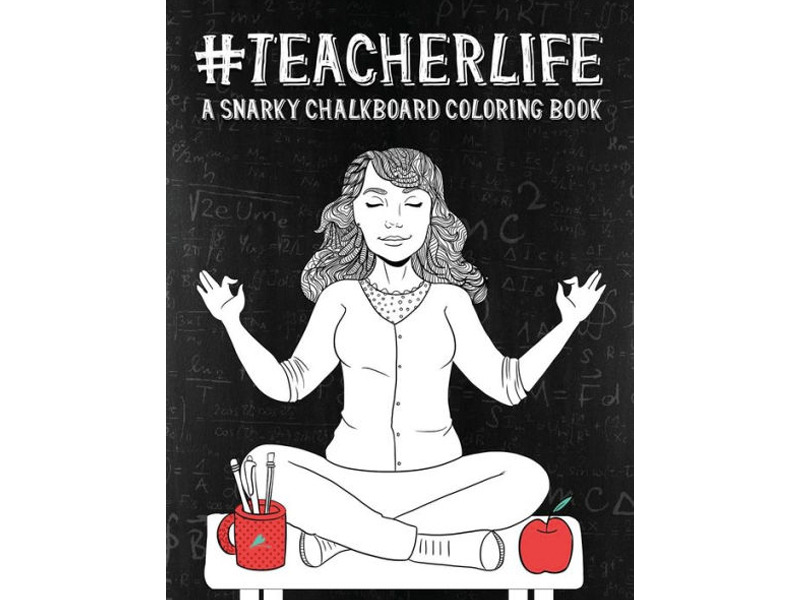 There are some situations that only teachers can understand, and this adult coloring book perfectly captures them with humor and cheekiness. The illustrations are single-sided, so they can take the page out and frame it if they so wish. Chances are the coffee in the teacher’s lounge isn’t exactly top-notch. 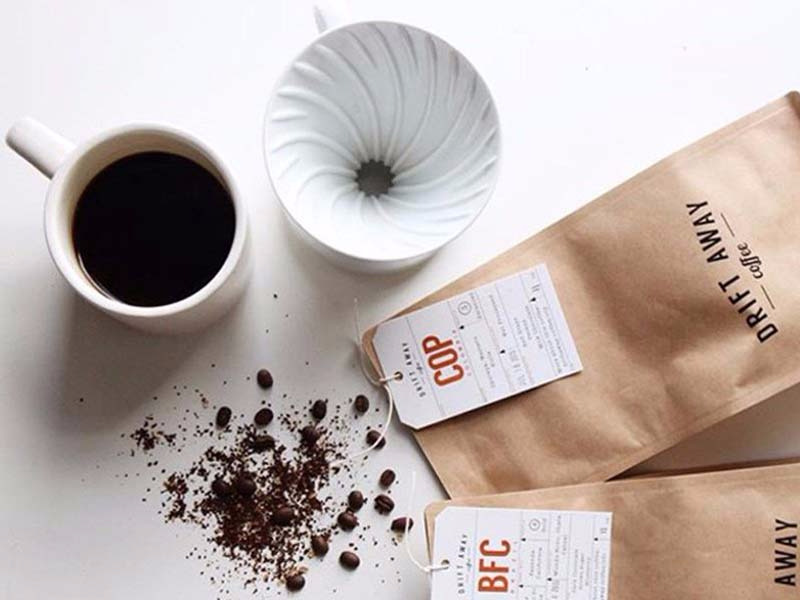 Thankfully, Driftaway Coffee’s is, and keeps things interesting by sending new whole bean varieties every month and improving upon the next selection based on their feedback. By the end of the school year, your teacher will have a good idea of the type of coffee they really like. 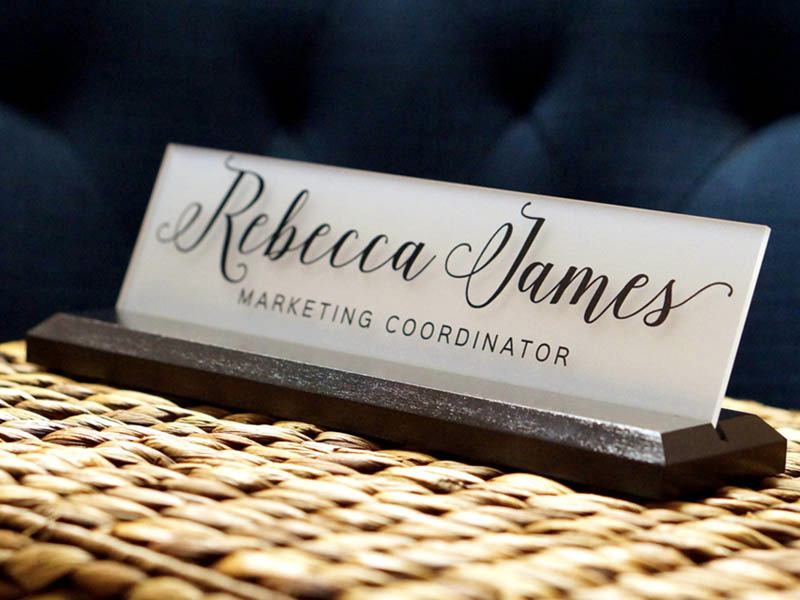 The wedge is a solid natural hardwood while the sign is shatter-resistant fogged acrylic glass, allowing it to last through any teacher’s illustrious career. 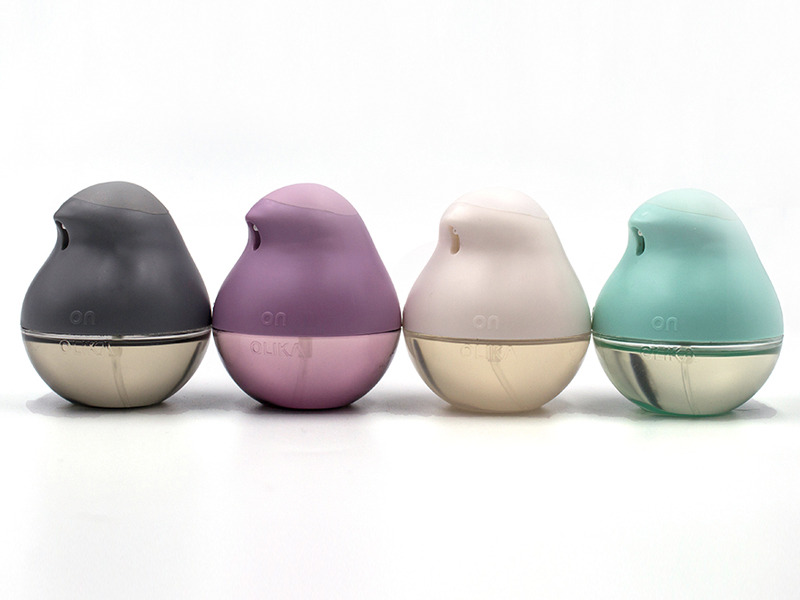 Sister to the original Birdie hand sanitizer that’s trying to disrupt an oft-overlooked industry, the Minnie is the perfect little desktop and handbag companion. Your teacher’s hands are bound to get dirty while interacting with a room full of kids, but this nourishing, non-irritating formula will fix that. 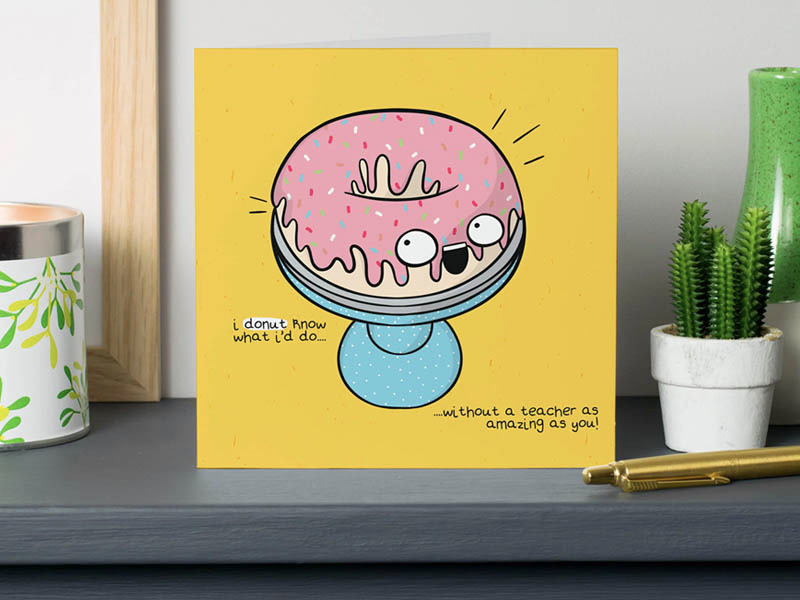 Give this one to the best teacher you know. You’ll be able to customize the cover design, interior cover, and interior format of the notebook. The wheels actually move and the headlights flash when they plug the stick into their device. 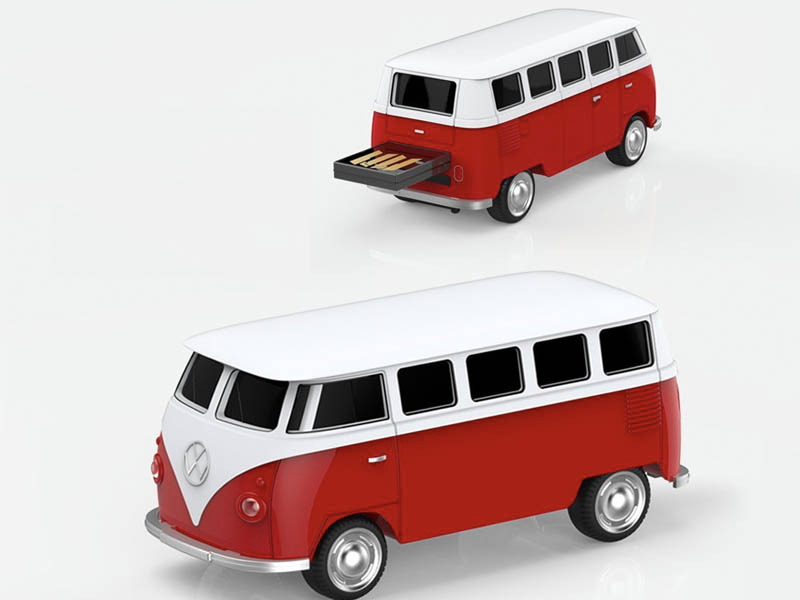 This is one flash drive they’re won’t easily lose. 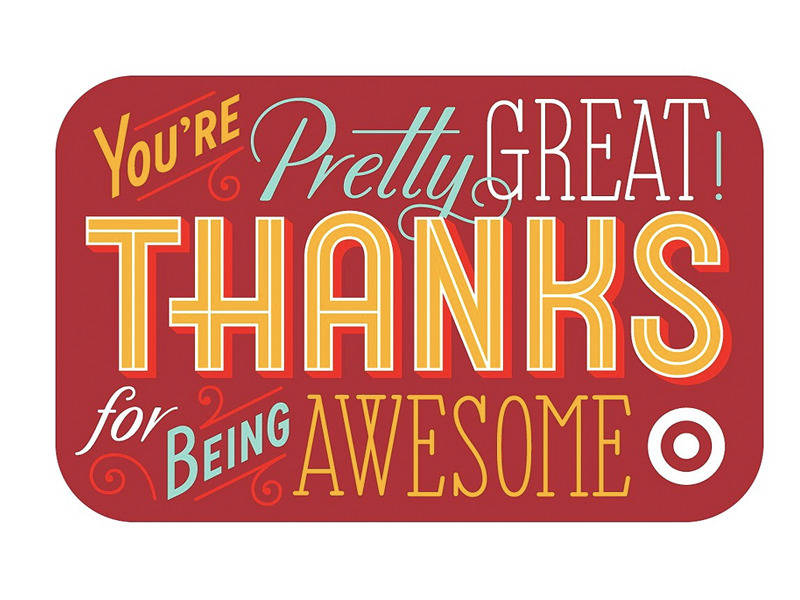 Sometimes all it takes is a simple note to show your appreciation. 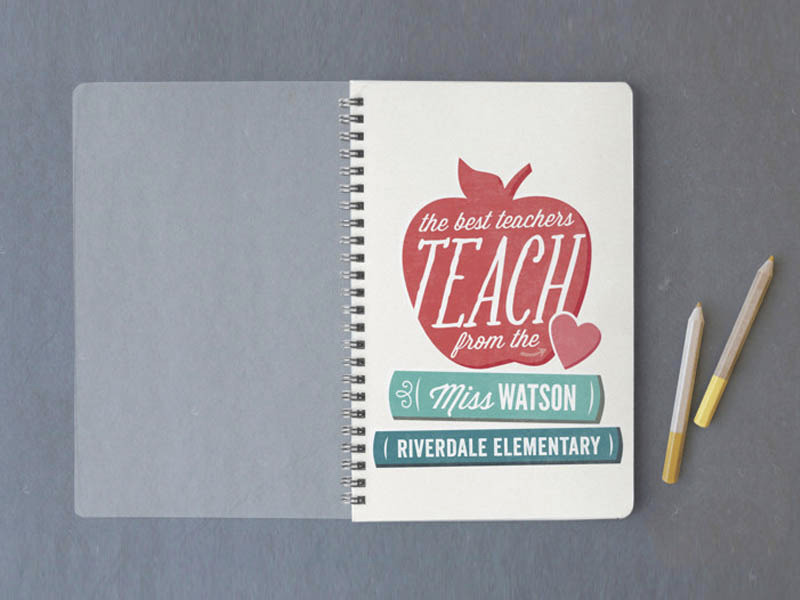 Include a thoughtful, hand-written note to thank your teacher for all their hard work this year, and it will go a long way in helping them remember you. If you’ve ever caught your teacher looking stressed or tense, you’re probably partially to blame — but you can fix that with this heated at-home massager that feels almost like a professional massage. 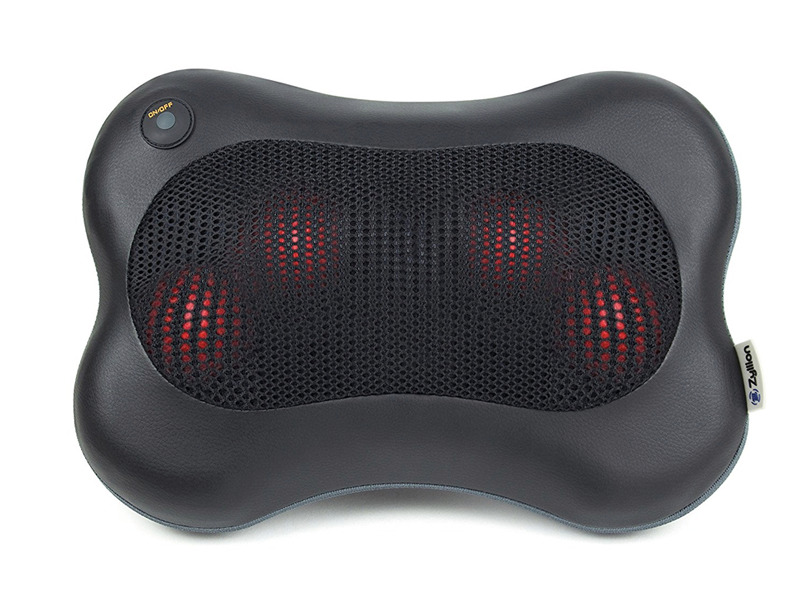 It has four deep-kneading rotating nodes to relieve aches, knots and muscle tension. 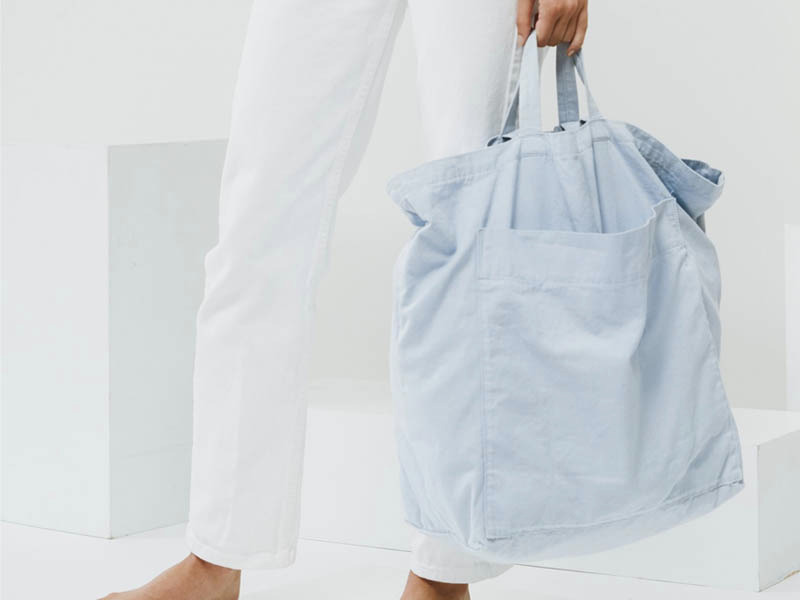 BAGGU makes great bags and its machine-washable cotton totes are no exception. Help your teacher carry all those lesson plans, tests, and homework papers with this cute yet sturdy tote. At the end of the day, teachers will always appreciate a gift card, especially if it’s to a store where they can stock up on supplies. 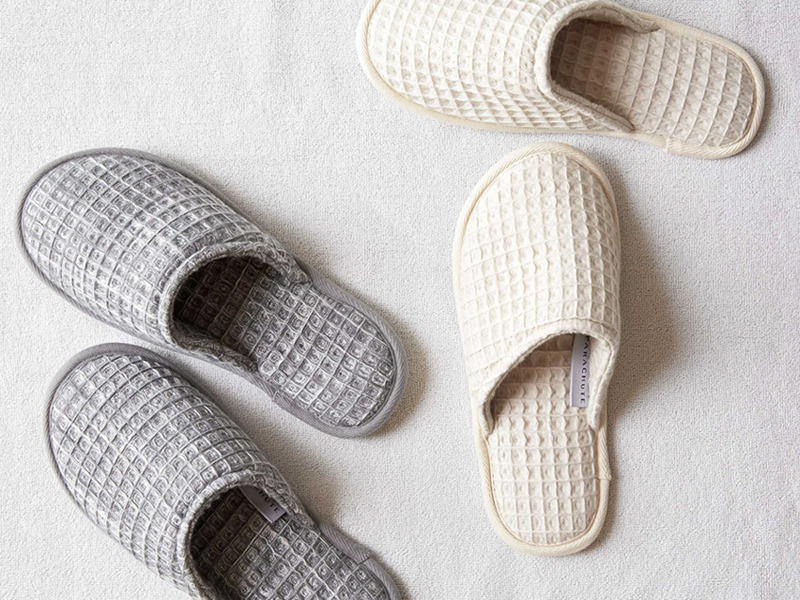 These cushioned slippers are made with 100% long-staple Turkish cotton for extra absorbency and comfort. Ideal for lounging and relaxing, they’ll bring a feeling of everyday luxury, but without the luxury price tag. 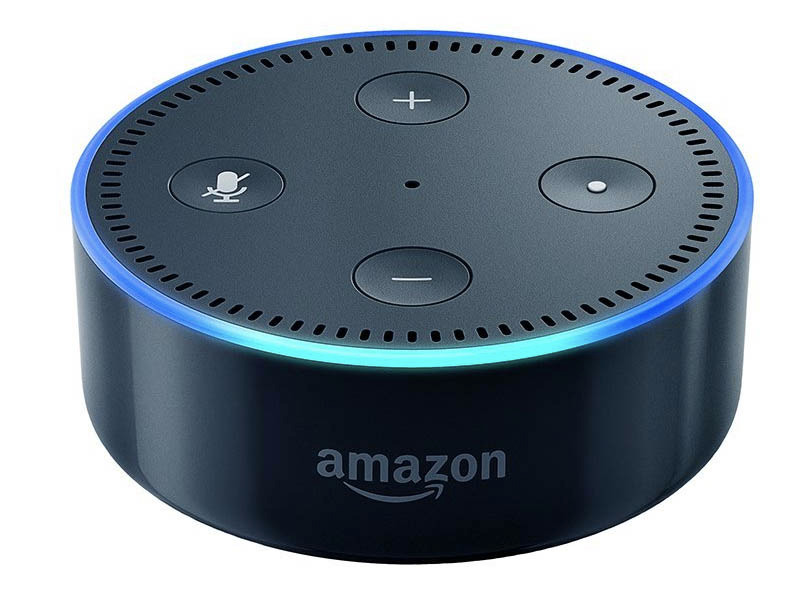 In and outside the classroom, the small smart home device is endlessly useful. They can play Jeopardy, ask for recipes, listen to the news, turn lights on, play music, reorder products, and more. 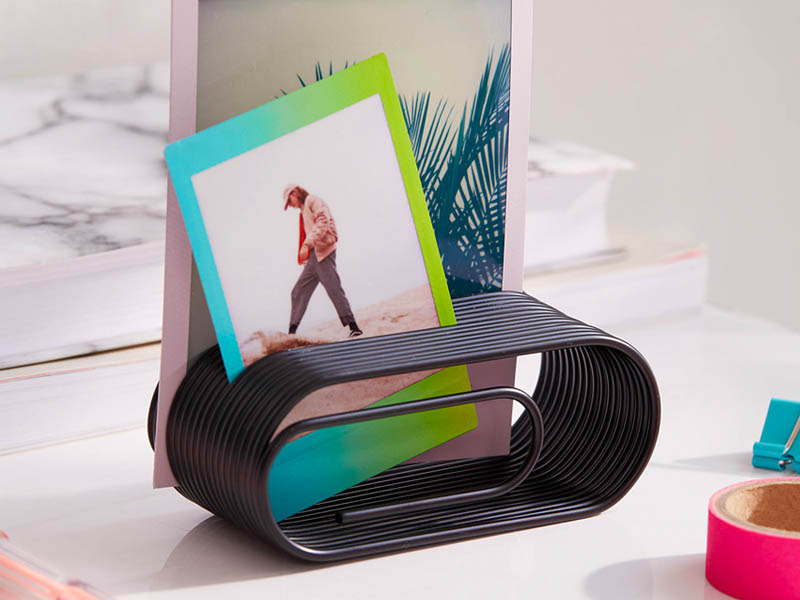 This oversized paper clip is even more useful than its original form because it can hold and organize multiple pieces of paper, postcards, and photos. 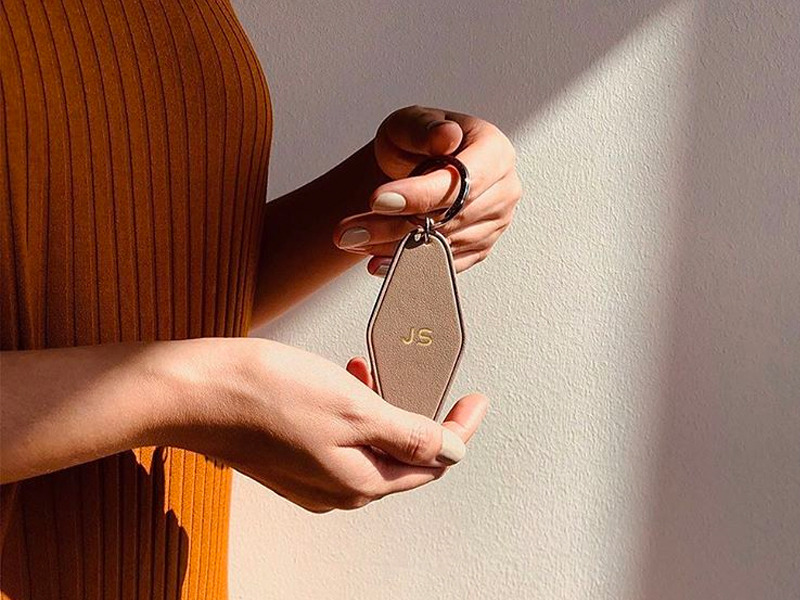 The full grain leather keychain is a perfectly composed accessory that they’ll love to carry, especially if you personalize it (for only $5) with a monogram. Known for his stained glass work, Louis C. Tiffany lends his colorful and delicate designs to these trays, which hold 500 loose paper sheets and 50 color paper clips. This article was written by Connie Chen from Business Insider and was legally licensed through the NewsCred publisher network. Please direct all licensing questions to legal@newscred.com. These quick and easy ideas will make moving your Elf so much easier every night. Get tucked in a bun. Be the Sexiest Elf Alive. Bust out of a box of Cereal. Get stuck in the snack jar. This article was written by Audrey Goodson Kingo from Working Mother and was legally licensed through the NewsCred publisher network. Please direct all licensing questions to legal@newscred.com. On December 7 of every fifth year, the International Civil Aviation Organization (ICAO) holds a special celebration of its anniversary. On this day, the ICAO Council creates a theme for each fifth anniversary. The theme they chose in 2014 for 2015 -2018 is “Working Together to Ensure No Country is Left Behind,” which means to keep all countries up-to-date on the current standards of safety, security and emissions. 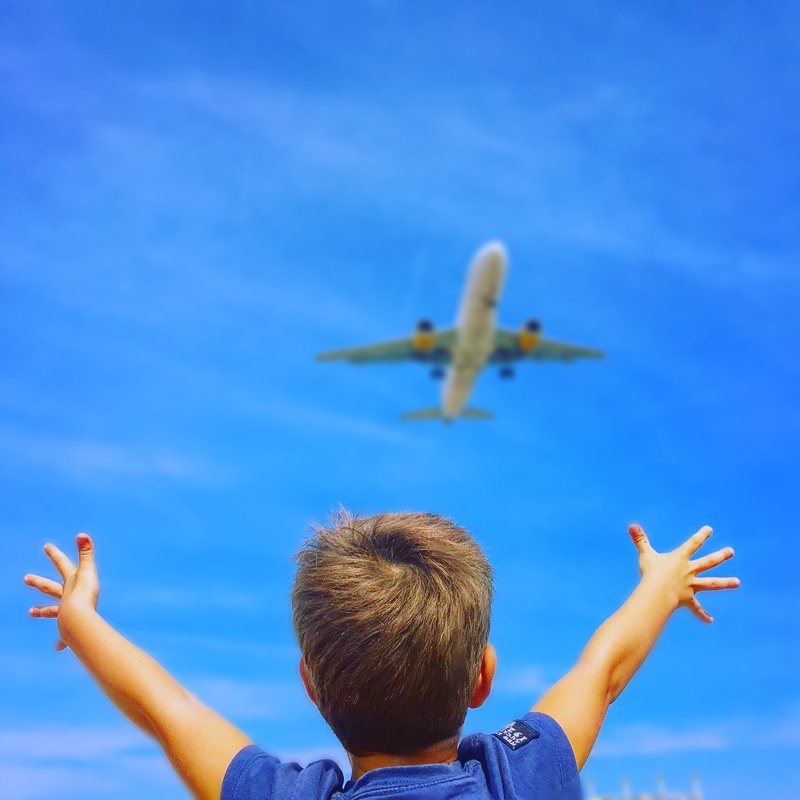 Consider holding a charity drive to collect items needed in less fortunate countries, and explain to your child how aviation will deliver the items you collect. What are some ways that you can convey the message of “Working Together to Ensure No Country Is Left Behind” to your children? 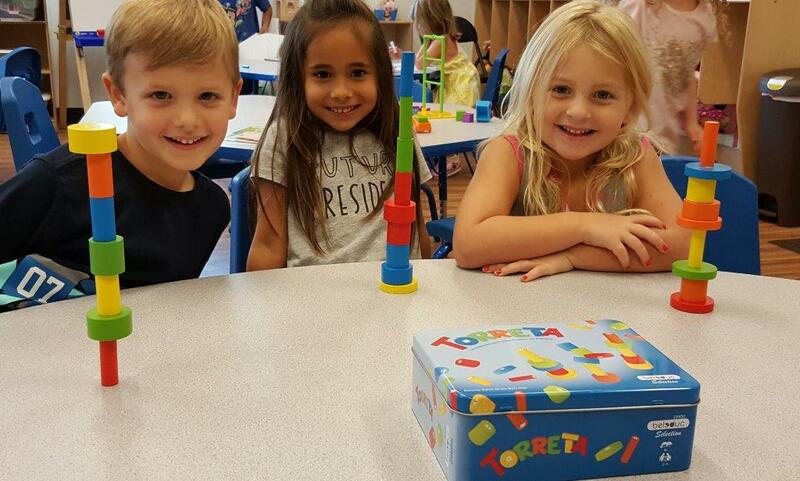 Preschoolers Across the United States Select the Top Educational Toys That Support Skill Development and Playful Learning. 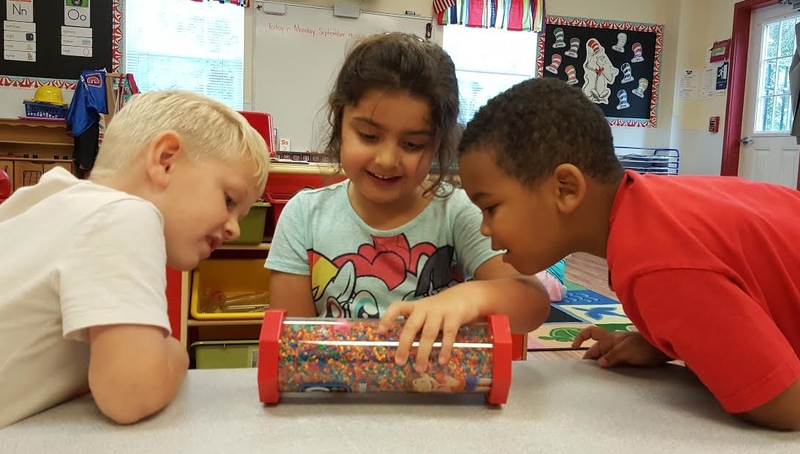 Goddard Systems, Inc. (GSI), the national franchisor of The Goddard School® preschool system, is hosting its tenth annual Preschooler-Approved Toy Test. 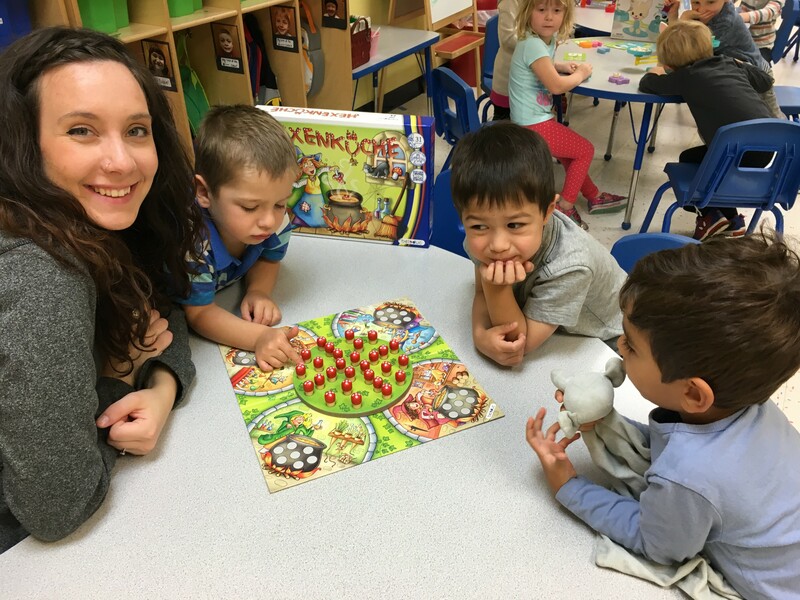 As the holiday season approaches, preschoolers at 50 Goddard School locations throughout the U.S. will be tasked with finding the best educational toys on the market for infants and children. The world’s leading toy companies are competing for the prestigious title of Preschooler-Approved Top 10 Toys of 2017. Annually, The Goddard School’s Toy Test Committee, which comprises a group of early childhood education experts, reviews applications from nearly 100 global toy manufacturers. 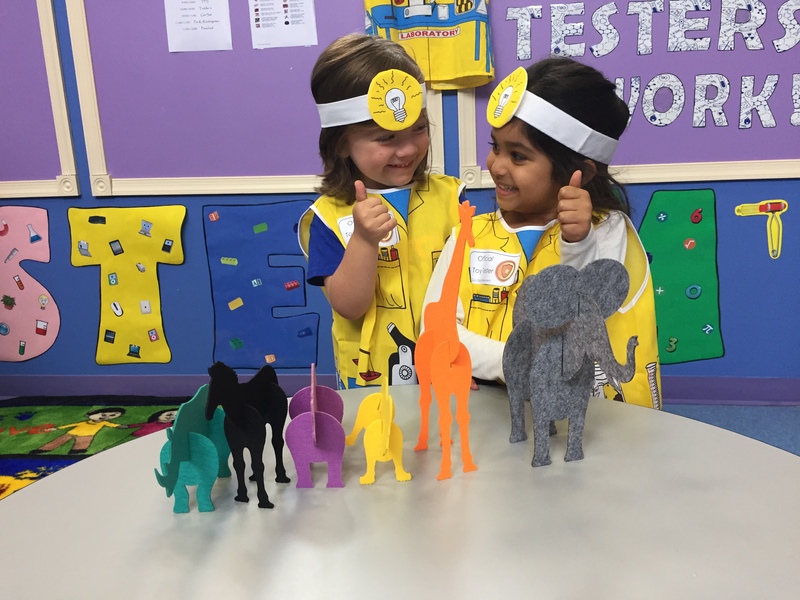 They judge each entry on specific educational criteria such as encouraging interactive, child-initiated play, inspiring creativity and collaboration and supporting skill development and playful learning. From there, the 25 toys with the highest scores are sent to 50 participating Goddard School locations nationwide to be tested by the preschoolers. The testing week this year takes place from Monday, September 25 to Friday, September 29. At the end of the week, the preschoolers will vote for their favorite toys. GSI will tally the votes to reveal the Top 10 Preschooler-Approved Toys and announce the results on November 1, 2017; next, voting will be opened to the public until November 10, 2017, on The Goddard School’s Toy Test page. Past Preschooler-Approved Toy Test winners include brands such as Laser Pegs, K’NEX Brands, Learning Resources, and John Deere’s Gearation Board. For more information on The Goddard School and the Preschooler-Approved Toy Test, please visit www.goddardschool.com/toytest. 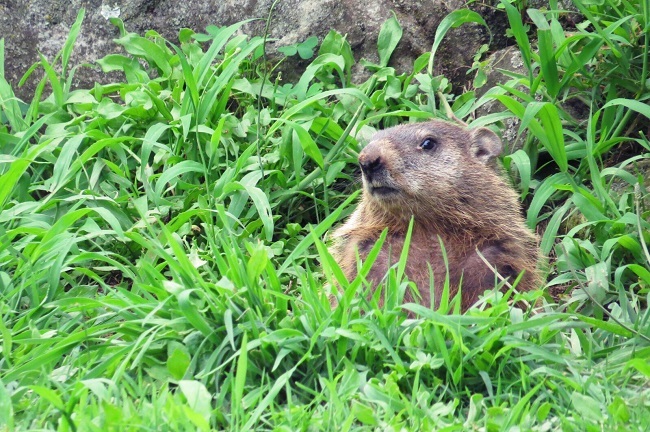 Ask your child to predict the groundhog’s forecast. Will he say that spring will arrive early or that winter will last six more weeks? You can predetermine a prize for her if her forecast agrees with the groundhog’s prediction. Prizes can be as simple as her choosing the family dinner for one night. Another option is to create a different meal for either outcome. For example, if the groundhog sees his shadow, dinner will be chicken, and if he doesn’t see his shadow, dinner will be pasta. What are some ways you celebrate Groundhog Day with your family? KING OF PRUSSIA, PA – November 16, 2015 – Goddard Systems, Inc. (GSI), the national franchisor of The Goddard School® preschool system, one of the largest early childhood education organizations in the nation, announces that Laser Pegs® 16-in-1 Space Fighter Building Set was deemed the top toy by public vote in The Goddard School Preschooler-Approved Toy Test. GSI will purchase and donate 100 of the winning toy to Toys for Tots, a program run by the United States Marine Corps Reserve that distributes holiday gifts to less fortunate children in the community. Now in its eighth year, the Toy Test searches for the best educational toy of the year by engaging preschoolers to play with a selection of toys, provide feedback, and then vote for their favorite along with the public. Educational toys from popular toy manufacturers across the nation were first evaluated by The Goddard School Toy Testing Committee, which is comprised of early childhood education experts. The toys were judged on how well they supported educational skill development and encouraged child-initiated play and collaboration. From there, the toys were sent to 50 Goddard Schools across the country where preschoolers tested the toys for one week. The children determined their Top 10 favorites before putting it to “Choose for Charity” public vote where people across the country could select their favorite of this year’s top toys as selected by the preschoolers.